Exactly one month ago Estonian citizens got opportunity to travel visa-free to Thailand. Seven years ago when diving near Similan Islands in Thailand I took this snapshot because of that small cleaner fish who's ''dress'' is exactly in colors of Estonian flag. Actually there are several species of fish in colors of our national flag. Which one is this I can't tell you as I noticed him too late and I had to shoot from hip and I got only tails. 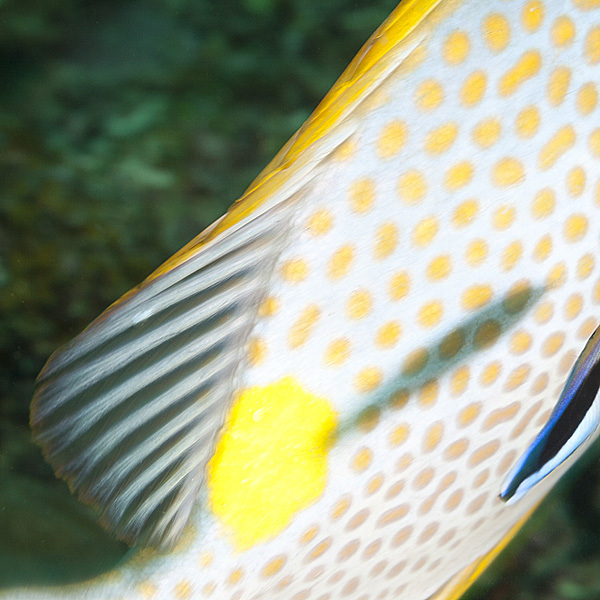 Sure thing is that the host is called Gold Saddle Rabbitfish (Siganus guttatus). Happy Birthday Estonia!